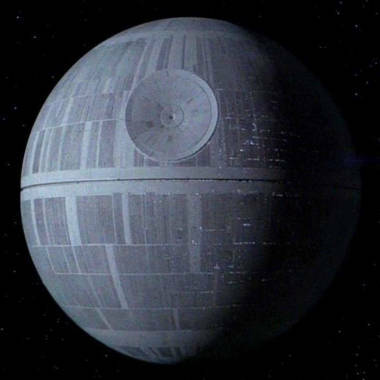 The Death Star is a pricey project. There are plenty of world-ending scenarios to keep us up nights, but the idea that an Earth government will build the Death Star from "Star Wars" isn't really one of them. For one thing, the planet-destroying space station is just too pricey. Writers at Centives.net, who've previously mused on how much Hogwarts' tuition would be or how much the robots from "Real Steel" would cost, tackled the economics of the situation and crunched some numbers. 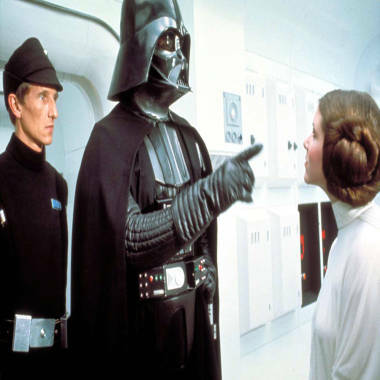 Darth Vader used the Death Star to destroy Princess Leia's planet, Alderaan, in 1977's "Star Wars." They decided it would take 833,315 years to produce enough steel to make the megaweapon and would cost 13,000 times the world's GDP. If you want all the zeroes, that's $852,000,000,000,000,000. Not really a problem, since as the site points out, "you can just take out a loan from the entire planet and then default on them in the most awesome way possible." Just ask Alderaan. Awesomely enough, this isn't the first time the Death Star's cost has been calculated. In 2009, Gizmodo figured it would cost $15.6 septillion to build a basic Death Star, including the costs of shipping all that steel into space. In other "taking 'Star Wars' way too seriously news," Forbes tackled the "Five Leadership Mistakes of the Galactic Empire." And of course, in the 1994 film "Clerks," Randal, Dante, and an interested customer famously argue about whether or not the independent contractors building the second Death Star were innocent victims. "Star Wars" came out more than 30 years ago, and fans still love debating the details. Do you think it will still be fondly viewed in another 30 years? Tell us on Facebook. Will Oscars honor Whitney Houston?